In view of the various amendments and judicial precedents, it can be easily said that IBC is still evolving and in a learning phase. RBI has referred certain bad loan accounts for insolvency resolution process under IBC wherein such bad loan accounts aggregate to over 40% of non-performing assets ("NPAs") in India. The IBC was promulgated around two years ago. In view of the various amendments and judicial precedents, it can be easily said that IBC is still evolving and in a learning phase. RBI has referred certain bad loan accounts for insolvency resolution process under IBC wherein such bad loan accounts aggregate to over 40% of non-performing assets ("NPAs") in India. With respect to the said cases referred by RBI, this year is very crucial since in most of such cases the ‘insolvency’ clock is ticking and time prescribed under IBC is nearing to an end and as such verdicts are keenly awaited which may be regarded as one of the significant moments in the context of IBC. As per the recent data available in the general domain, four among the aforementioned cases (i.e. Bhushan Steel, Electrosteel Steels, Monet Ispat and Amtek Auto) have been resolved, while the rest have been hauled due to various litigations. The committee of creditors ("CoC") of Electrosteel Steels had accepted the resolution plan proposed by Vedanta group, whereas Tata Steel, through its group entity, Bamnipal Steel Limited has managed to acquire Bhushan Steel. The acquisition of Bhushan Steel wasn’t a cake walk for Tata Steel as hurdles were posed by competing bidders, operational creditors as well as employees of Bhushan Steel. A consortium of Aion Investments Pvt. Ltd. and JSW Steel Ltd. have acquired Monnet Ispat and in addition to the above the bid by Liberty house for Amtek Auto has also been approved. A few of the RBI referred cases are still stuck up with last-minute litigation proceedings and it has to be seen whether these entities are either resolved or liquidated. However, from the majority of cases decided under IBC, it can be seen that the banks mostly face the prospect of good haircuts on their dues. One would argue that the haircuts are not only affecting the banks directly but also eventually hitting the economy. Nonetheless, it is always better to have at least some portion of the debt recovered rather than the entire amount of debt ‘tagged’ as bad debt in the books of the banks and certainly better than liquidation. In its infancy, the legislature has not shied away from carrying out amendments to IBC especially in light of the lessons learnt from the experience of the RBI referred cases. For instance, to keep a check on unscrupulous promoters trying to get back their hands on the insolvency struck entity, at a heavily discounted acquisition price, one of the most controversial amendment was introduced to IBC in the form of Section 29A. Considering the uproar created especially by the promoter fraternity, the feedback received from stakeholders as well as taking cognizance of the insolvency cases, IBC has been liberalized in its recent amendment. The recent amendment inter alia allow promoters of MSMEs undergoing CIRP to propose resolution plans for such MSME’s, reduction of voting threshold for CoC meetings for all the critical matters since there were instances where the minority/individual creditors were forcing the corporate debtor to liquidation rather than achieving the objective of IBC by resolving the company. Through recent amendments, the homebuyers, after several discussions, have also been included, as a Financial Creditor, in the CoC (by way of their authorized representatives) – whether such homebuyers would be secured or unsecured FCs is not made clear and thus open to another debate. Also, the much awaited clarity on exclusion of guarantors from moratorium under IBC and applicability of limitation act to IBC has been provided. 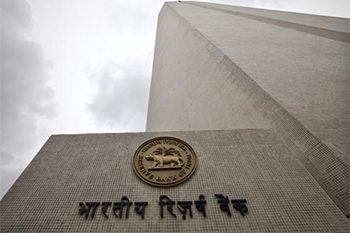 RBI in February 2018 had revised framework for resolution of stressed assets thereby substituting the SDR, CDR, S4A, JLF and such other resolution mechanism with a simplified generic framework which shall be applicable only to scheduled commercial banks and entities such as Exim Bank, SIDBI, NABARD. As such, NBFCs, ARCs or other financial institutions, which were able to take benefit under the earlier schemes of RBI are almost left out. It is pertinent to note that overseas creditors including overseas banks, FPIs, bond holders, etc. are also not included in the revised framework. Having said that IBC still seems to be far cry from the earlier regime of insolvency resolution. Earlier in view of the hope to recover their outstanding dues, banks would keep their arsenal ready for long drawn litigations. The IBC enables financially sound companies to go for inorganic growth by way of acquiring their once competitors at attractive/ distressed price. Various financial institutions/restructuring focused Funds and ARCs are seen to be partnering with the market players to acquire control of and restructure distressed companies that have been referred to under IBC. Needless to add, acquisition process under IBC is far from simple and one has to factor the various legal proceedings that may be filed by various stakeholders/ competing bidders with respect to the concerned company under insolvency. The IBC does contain the provision about cross border insolvency, however, the provisions relating to the same have not yet been notified. The IBC thus provides global players the consolidation opportunity in India. The journey of IBC so far has been quite eventful to say the least. One only hopes for a brighter future for IBC, but it also needs to be noted that IBC cannot be presumed to be a one shot panacea for the bad loan problem and that there is a room for ironing out other aspects of the regulatory eco system as well to actually enjoy the fruits of IBC.